Here is a simple illustration of the type of analysis that would be conducted. Suppose a company owns a 10-year-old, 7-horsepower air compressor. Replacing the compressor would cost $32,900. Is an investment in preventive maintenance justified? Based on best practices developed, the compressor will last 20 years with proper PM but only 16 years without it. Proper PM will cost $472 per year. Repairing the compressor will cost $944 per incident. If maintained properly, it will need to be repaired once every four years. If it is not maintained, the compressor will need to be repaired every three years. Given these variables, and assuming a time frame of 25 years, is an investment in preventive maintenance justified? With preventive maintenance, the equipment will need to be repaired once every four years at a cost of $944, a figure that translates to $236 per year. Lacking preventive maintenance, the compressor can be anticipated to need repairs once every three years for the same $944 cost, which equals $315 per year. With preventive maintenance, the compressor will need to be replaced in year 10.Without PM, it will have to be replaced twice, in year 6 and year 20. Comparing the two scenarios indicates that the PM scenario has a net present value (NPV) of $6,359. If the time period is extended to 30 years, the compressor will need to be replaced twice in the PM scenario. This reduces the NPV to $4,338. In either case, the investment in PM is clearly financially justified. For purposes of simplicity, this example does not consider inflation, residual value, energy or lost revenue from downtime. If residual value (how much the compressor is worth after year 25) is factored in, for example, the NPV would decrease. But each of the other factors would cause an increase in NPV that would more than compensate for the effect of the residual. This option assumes that the organization spends nothing on PM. Obviously the cost of PM is zero in this scenario. The cost of repair maintenance, the cost of energy, and the frequency of equipment replacement will increase, however, because the equipment will not be properly maintained. The amount of energy degradation and expected life degradation is based on the type of the equipment. It is also assumed that the frequency of repairs will increase in an amount similar to the expected-life degradation. For example, even with proper maintenance, a compressor would need to undergo minor repair every four years. The model assumes that this repair frequency will increase by 20 percent when the compressor is not properly maintained, adding additional repair costs over the life of the compressor. In this option, the cost of PM represents the actual amount spent by the organization at the time that an audit was conducted. For most types of equipment, significantly less was being invested than is usually recommended based on industry benchmarks and manufacturer suggestions. In these cases, the amount of energy and expected-life degradation can easily be extrapolated between the no-PM scenario and the industry benchmark scenario. For example, an air compressor’s expected life will decrease by 20 percent if not maintained, and proper maintenance will cost $472 per year. If the company spent $236 (half the recommended amount) on compressor maintenance, the expected life would decrease by 10 percent instead of 20 percent. 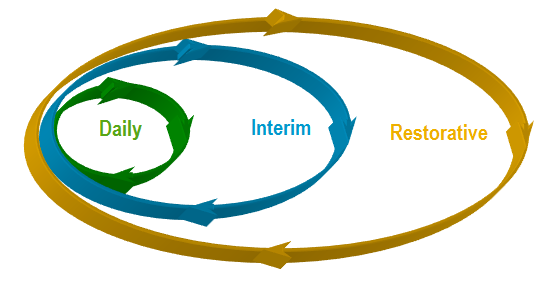 In this option, the model assumes that an organization spends the industry benchmark amount on preventive maintenance activities. This scenario also assumes that the equipment will last its full expected life and that energy performance will not degrade over the life of the equipment. The cost consisted solely of energy, repair maintenance, preventive maintenance and equipment replacement. To calculate the cost of energy, the model assumes an average figure for annual operating hours and an average efficiency. 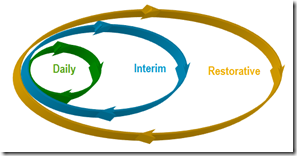 In scenarios one and two, efficiency was degraded based on the amount of PM performed. The average life of each piece of equipment was used to determine when the equipment would need to be replaced. For example, the average age of an air compressor in an organizations portfolio was 17 years. The expected useful life of an air compressor is 20 years, so in years 3 and 23 of the scenario 3 analysis, the compressor needed to be replaced. In scenario 1, the expected useful life of the compressor is 16 years, so it needs to be replaced in years 1 and 17 of the analysis. Obviously, replacing equipment in later years is superior to replacing equipment in early years. In simplest terms, this represents the difference between spending, say, $10,000 today on new equipment or $10,000 ten years from now. Most companies would rather wait. Because of the time value of money, the net present value of spending $10,000 in year 10 equates to spending $3,800 today. Which would a company rather do: spend $3,800 to buy a new piece of equipment or spend $10,000 to buy the same piece of equipment? The analysis clearly indicates that the expense can be pushed out over time by properly maintaining the equipment. All expenditures estimates are brought back to present value for each of the three scenarios for each piece of equipment. In each case, scenario 1 (no PM) was compared to scenario 3 (industry benchmark PM), and NPV and ROI were calculated. Scenario 2 (current PM) was also compared to scenario 3 to determine the effect of increasing the spending on preventive maintenance. So what are the results & the ROI. The results of the analysis comparing scenario 1 to scenario 3 (no PM to industry benchmark PM) were overwhelmingly positive for performing preventive maintenance. The analysis shows that an investment in PM not only pays for itself but also produces a huge return on the investment. In one example, at the portfolio level, analysis based on an a 25-year cycle capital budget the results represented an ROI of 545 percent. The bulk of the return came from increasing the useful life of equipment. Energy savings account for typically 7 percent of the return. A 545 percent ROI seems like a huge return, and it is. Consider, however, the cost of just one piece of equipment: a chiller. The average size of the company’s chillers was 350 tons. At $1,000 per ton, chillers would cost an average of $350,000 to replace. Maintaining the chiller costs $5,500 per year, and proper maintenance adds years to the equipment’s life, avoiding the extremely expensive capital outlay needed to replace it. The longer the capital expense can be delayed, the higher the ROI. Maintaining all the equipment in the portfolio produces the significant returns identified by the analysis and offers a powerful argument for the value of preventive maintenance and the dramatic impact PM can have on real estate operating costs. Facilities Net has provided and excellent four part series on the New ASHARE standard 188 to help prevent Legionnaires Disease. It is expected that this new standard will become a mandatory compliance issue in the near future. Apart from the health benefits of adopting this standard it is a given that once it becomes a compliance regulation it will have to be factored into every public buildings annual budget. ASHRAE 188, written by engineering, microbiology, disease prevention and water treatment experts, provides a comprehensive set of practices that facility & property managers can follow to help prevent Legionellosis. We would like to thank the contributing authors, Janet E. Stout and Garry R. Boehlert, for providing this valuable information in such an effect and concise manner. “Two dreaded words no facility manager wants to hear: Legionnaires’ disease. The mere mention evokes haunting images of the 1976 American Legion Convention in Philadelphia at which 220 became ill and 30 died.” This certainly draws one into the post which provides a clear background on the history and prevention of Legionella. The third post: “What Facility Managers Should Know About HACCP Plans And ASHRAE 188”, clearly explains how the ASHRAE 188 standard is modeled after HACCP, a widely used method to prevent disease from infectious organisms transmitted from food and water. The fourth post: “ASHRAE Legionella Standard: Monitoring, Disinfection, Legal Considerations”, provides valuable information how monitoring for Legionella is the key to prevention. However, we think that the most important component to consider in this post is the summary on the Impact of Standard 188 on Legal Liability. Simply put, where it is adopted within building codes, it will have the force of law and be a very real compliance issue that can’t be ignored. During the construction process a significant amount of money is invested in the installation of natural stone products and porcelain. 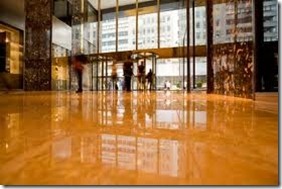 In high value commercial properties, floors and countertops come in many types and require regular maintenance services, dedicated to preserving and maintaining the beauty of your unique stone surfaces like Travertine, Granite, Flagstone, Onyx, Terrazzo, Glass Tiles, Ceramic, Porcelain, Tile Grout and many others. In many cases, a light cleaning is provided after the initial installation and the subsequent maintenance is turned over to in house staff or general janitorial instead of a certified specialist in Stone Care. It is often the case that incorrect chemicals and equipment are used to maintain the highest value surface finishes in the building. For many facility managers and building owners, daylight cleaning contributes to a successful property management model. 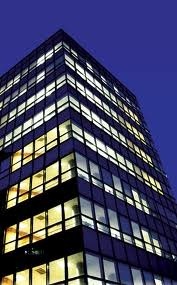 It adds to a building’s return on investment by lowering overall operating costs. It reduces training, labor and other costs associated with cleaning staff turnover. It also helps retain existing tenants and can significantly contribute to a building’s green profile, increasing its appeal to potential new tenants. Daylight cleaning can also be the next step in the evolution of your company’s green profile. Essentially, day cleaning is nothing more than moving janitorial services from the nightshift to the dayshift. In the process, some fundamental, positive changes take place for building management, tenants, and the cleaning staff. BOMA, in its Building Energy Efficiency Program (BEEP), suggests utilizing janitorial practices to save energy. BEEP reports that janitorial is often ignored when developing energy-saving strategies, yet it typically accounts for almost 25 percent of weekly lighting use, which is equivalent to about 7 percent of total building energy use. Strategies to reduce energy demand include team cleaning, coordination with security, and day cleaning. In addition to reducing the amount of energy consumed, daylight cleaning also assists in reducing the number of nighttime bird kills. According to the Fatal Light Awareness Program, each year, more than one million birds die from window collisions stemming from confusion caused by lights shining from inside buildings. From the janitorial staff point of view, day cleaning is like a long-awaited bonus. It delivers more full-time jobs, higher wages, and better working hours. Employees actually get to eat dinner with their families and tuck their kids in at night. Their concerns about travelling to and from work in the dark vanish. Posted in Green, Janitorial, Paragon Services	| Tagged daylight janitorial	| Comments Off on Is Daylight Cleaning A Good Business Practice? Things change. It is a fact of life and of facilities maintenance planning. 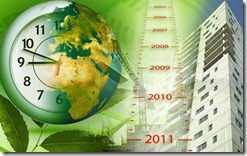 The luster of new buildings and equipment are sure to fade over time. And as facilities age, their condition changes as well. But change isn’t always a bad thing. For example, a two-year-old air-handling system might perform better than a new system because its operators have had 24 months to learn how to use it and “get out the kinks.” Of course, this assumes that the operators have maintained the equipment responsibly along the way-changing filters and belts as needed. If, however, the same air handler is operating well after 10 years of service, it is safe to assume that more extensive maintenance efforts have been undertaken-valves and gaskets will have been replaced and the compressor pump serviced (probably more than once). Because the definition of what constitutes “proper maintenance” changes over the life of the equipment or building, knowing the age and condition of a facility or piece of equipment is a prerequisite for maintaining it properly. Otherwise, maintenance efforts are a hit-or-miss situation-some things only get fixed when they break while others get “maintained” on a routine basis whether they need it or not. When an education organization knows the status of its facilities and equipment, the need for maintenance, repairs, and upgrades becomes much clearer-after all, it is tough to argue against good data! Posted in Paragon Services, Preventive Maintenance	| Tagged Facilities Audit	| Comments Off on Why Audit Your Facilities? 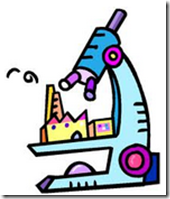 What Are The True Economics of Preventive Maintenance? Preventive maintenance has been more popular in principle than in practice over the years. One can hardly argue with the idea of keeping equipment well maintained to extend its expected life and avoid future repair costs. Less clear is an understanding of the actual relationship between the cost of preventive maintenance and the returns such activities can be expected to deliver. What is the process of assessing the value of preventive maintenance programs and activities by analyzing them in terms of key financial ratios? Although most owners acknowledge these issues, they may be more concerned with saving money and obtaining optimum value from their investments. Given that perspective, a more convincing argument for preventive maintenance would demonstrate that PM generates a solid rate of return in terms of risk mitigation and asset protection. For example, how does one quantify the extended life of an air compressor? How can one know how much longer a compressor will last if it receives proper preventive maintenance than it would if no PM took place? Here is a simple example. Suppose a company owns a 10-year-old, 7-horsepower air compressor. Replacing the compressor would cost $32,900. Is an investment in preventive maintenance justified? Based on the standard procedures, the compressor will last 20 years with proper PM but only 16 years without it. Proper PM will cost $472 per year. Repairing the compressor will cost $944 per incident. If maintained properly, it will need to be repaired once every four years. If it is not maintained, the compressor will need to be repaired every three years. Given these variables, and assuming a time frame of 25 years, is an investment in preventive maintenance justified? With preventive maintenance, the equipment will need to be repaired once every four years at a cost of $944, a figure that translates to $236 per year. Lacking preventive maintenance, the compressor can be anticipated to need repairs once every three years for the same $944 cost, which equals $315 per year. With preventive maintenance, the compressor will need to be replaced in year 10. Without PM, it will have to be replaced twice, in year 6 and year 20. Comparing the two scenarios indicates that the PM scenario has a net present value (NPV) of $6,359. If the time period is extended to 30 years, the compressor will need to be replaced twice in the PM scenario. This reduces the NPV to $4,338. In either case, the investment in PM is clearly justified economically. For purposes of simplicity, this example does not consider inflation, residual value, energy or lost revenue from downtime. If residual value (how much the compressor is worth after year 25) is factored in, for example, the NPV would decrease. But each of the other factors would cause an increase in NPV that would more than compensate for the effect of the residual. Think in terms of the entire array of equipment within a given 100,000 square foot building and consider the aggregate cost savings of implementing a comprehensive Preventative Maintenance Program. Posted in Mechanical, Paragon Services, Preventive Maintenance	| Comments Off on What Are The True Economics of Preventive Maintenance? 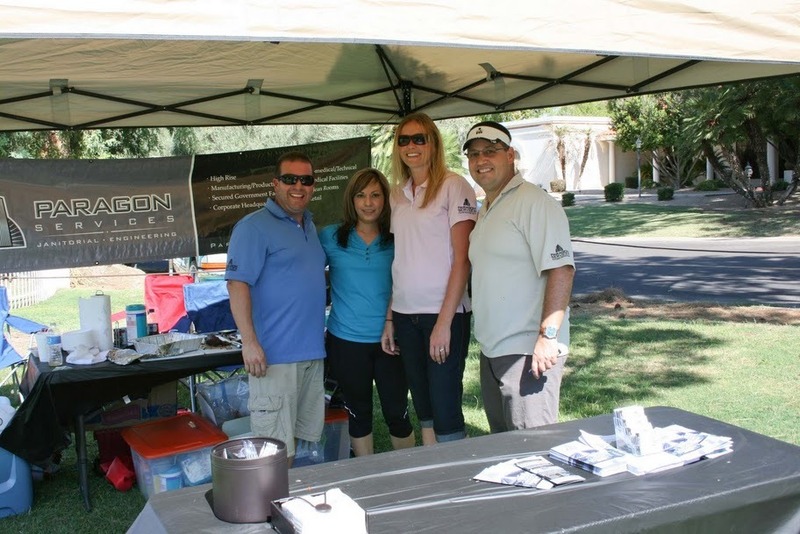 Thank you for all of those who attended IFMA’s 3rd Annual Golf Tournament. 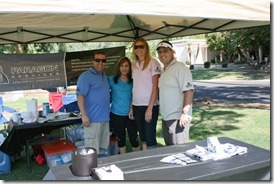 We hope that you were able to visit the Paragon Team at the third hole and try our famous tri tip and chili. As many of you know, preparing a perfect tri tip involves expertise and patience. This select cut of meat is hard to find but worth the effort when perfectly prepared, succulent and flavorful. Concocting a remarkable pot of chili involves the same special consideration. Select spices and “secret” ingredients is the key to creating the perfect recipe for great chili. In the same way, the Paragon Team strives to formulate the same flawless “recipe” in providing our clients with exceptional results, utilizing our expertise, patience and key ingredients. Creating innovative and practical building engineering designs, our experts ensure that every project meets and exceeds the expectations of clients and building users. Combining local market knowledge with technical expertise, our multidisciplinary approach to building design is informed by the client’s needs and business case to produce cost-effective, functional, inspiring solutions. Paragon is known for our creative and sustainable design approach. Collaborating across a wide range of building design skills, and sharing knowledge and a passion for a sustainable built environment, Building Engineering at Paragon creates designs that work for today and tomorrow. From creation to completion and beyond, we provide the “perfect recipe” to help clients reach the optimum potential of every project. We would like you all to welcome Rosanna Jasso. Rosanna’s role in Paragon is Administrative Assistant and will be working with Lorena and our San Diego office to help coordinate various accounting functions. She has also been charged with the administration of our Computerized Maintenance Management System (CMMS) coupled with various other duties to help streamline Paragon’s Administrative work flow. 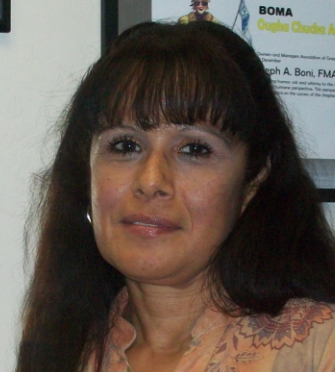 Rosanna’s background is in the field of Property Management for the last 10 years. Seven years at the capacity of a Property Manager. Rosanna has significant experience in managing property maintenance engineers during her tenure along with a strong financial background. Rosanna attended Western New Mexico University with a major in Business of Administration in Management and a minor in Mathematics. Please help in welcoming Rosanna to our team. Rosanna’s email address is ejasso@paragonservices.us.com. A well-designed healthy building does not have to be complex or expensive. In schools, universities, hospitals, hotels, office buildings and other facilities, focusing in environmental stewardship can make a significant difference in the quality of the indoor environment while reducing risk to cleaning personnel and occupants.Billions of dollars annually are dedicated to labor, products and equipment to clean and maintain schools, hospitals, hotels, offices and other facilities. Protecting the built environment has a profound impact on our natural environment, economy, health and productivity. The US Green Building Councils rating system addresses the environmental and health impacts associated with design, construction and building operations. Their LEED (Leadership in Energy and Environmental Design) building certification includes cleaning requirements and standards that are being adopted by public- and private-sector organizations that are committed to environmental stewardship.A major benefit of green cleaning is that it minimizes the environmental and health concerns associated with conventional cleaning practices. Many traditional products are derived from non-renewable natural resources and can be toxic to human health and cause long-term environmental problems. It is critical to recognize that the solution to these problems is not to clean less, as cleaning is essential to protecting occupant well being and safety. Rather, the solution is the selection and use of appropriate cleaning and maintenance products.